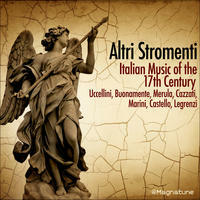 Altri Stromenti: 17th century baroque ensemble. Wroclaw's Period Instruments Ensemble "Altri Stromenti" has existed since 1992. Its name - "other instruments", brings to mind baroque practice which allowed changing of voices in compositions. It also reveals the special character of the period instruments, i.e. : means "different" from contemporary ensembles. The repertoire of Altri Stromenti comprises both "classical" as well as less well known 17th century baroque compositions which the group reconstructs and presents during "Baroque Concerts" organized in the House under the Golden Sun in Wroclaw (these concerts were started by the group and more than 50 have been presented). 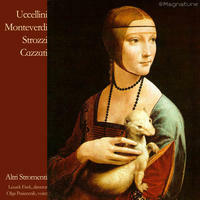 Altri Stromenti performed also in Germany, France and Czech Republic ("Monuments en musique" festival in Strasbourg, International Festival of Early Music in Cracow, at the Royal Castle in Warsaw and three times during international festival "Wratislavia Cantans" in Wroclaw. Altri Stromenti lives in Warsaw, Poland. Tagged as: Classical, Orchestral, Baroque, Instrumental, Composer: Dario Castello, Composer: Giovanni Battista Buonamento, Composer: Giovanni Legrenzi, Composer: Marco Uccellini, Composer: Maurizio Cazzati, Composer: Tarquinio Merula, Organ, Violin.